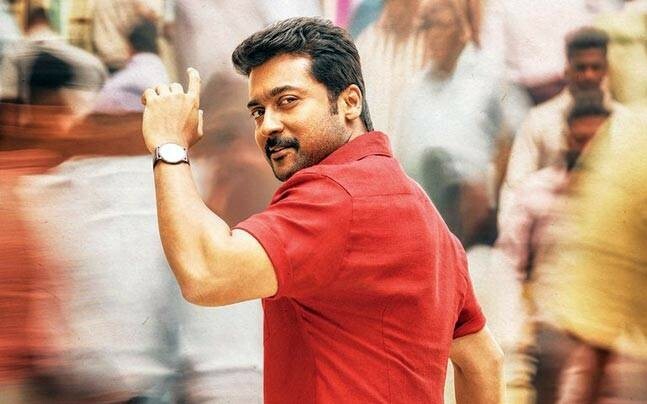 As an adaptation of Special 26, itself based on the true event of the Opera House heist of 1987 in Bombay, Thaanaa Serndha Koottam (TSK) falls way short on all counts of (inevitable) comparisons. Otherwise, this ‘masssified Tamizh entertainer’ does have its occasional high moments of playing to the gallery. TSK has none of the sardonic wit or sharp characterisations that gave us an edge-of-the-seat involvement in the original. It, in fact, takes away from the best parts of Special 26 and its mood and feel to make itself supposedly more palatable for the Tamil mainstream audience as thrills and suspense give way to comedy and other masala items. A tightly woven plot is loosened up, giving way to logic in several places. It also gnarls you with its preachiness, moral uprightness and a highly disappointing climax, that ends the film on a ridiculous note. But above all, TSK‘s biggest falling is in playing down the grey shades of its hero, who, after failing to get a job with the CBI, heads a group of motley characters posing as fake CBI or Income Tax officers and who conduct raids on unsuspecting corrupt politicians and industrialists. While Akshay Kumar has no qualms about doing what he does, TSK gives its hero, Iniyan (Suriya), a clichéd tragic back story to desperately justify his actions for him to remain as holier than thou as possible and even makes him a good-hearted Robin Hood who robs the rich and helps those defeated by the system. No doubt, there are parts where director Vignesh Shivn does hit the nail on the head. Changing Anupam Kher’s character to that of a woman (Ramya Krishnan) works well and also gives the group an interesting dynamic. There are some sharp moments like when an applicant for the CBI, who wants to end corruption, is ironically called Sasikala or the heist sequence in Hyderabad where the group, in the midst of a raid, finds itself out of sorts in not knowing Telugu or Hindi. Suriya is reliably efficient and the film does see a relaxed, likeable and free flowing act from him but to be honest, the film doesn’t really challenge his histrionic abilities. I have to go out on a limb here and say that Akshay Kumar gave a far better and more subtle performance in the original. In fact, not just Kumar, all the original performances were much more nuanced and richer especially that of Manoj Bajpayee as the true CBI officer on the heels of the gang. Karthik, here in a similar role, is simply terrible. Keerthy Suresh as the love interest is totally wasted and her track is even left hanging. The kindest thing one can say about her role is that at least she isn’t the typically stupid Tamil film bimbo who is conned by the hero to fall in love with her. The romance, while inoffensive, fails to add much to the film and seems more a necessary inclusion which a formulaic mainstream Tamil film must have. Anirudh’s music sounds better than it is picturized on screen with a riot of garish colours that hurt the eye. Peela, Peela, in particular, is also badly placed and brings the narrative to a grinding halt. Sodakku comes off the best as a catchy composition aided by some reasonably energetic choreography. The other songs fail to lift the film, while the background score is much too intrusive in many places. In terms of production design, the creation of the period (1987) leaves much to be desired. Giving the odd nod to Gold Spot (and then undermining it repeatedly), the old dialer telephones, or a 1980s film poster (Varumayin Niram Sivappu (1980) – a film on unemployed youths) or having some old cars on the road don’t a period fully create. Suriya’s wardrobe sticks out with many of his clothes being straight out of 2017. And in spite of Sreekar Prasad’s best efforts, the film’s flow is uneven with the second half dragging in parts. All in all, TSK has some fine smart, comic moments and is aided by fine performances from Suriya and Ramya Krishnan. But ultimately, it ends up as light-hearted irreverent fluff (for all the issues it rakes up) and fails to even match its base material, leave alone go beyond. Still, those not having seen the original may yet find it an okay enough watch.